Misfit is not exactly the world's most popular smartwatch vendor, but the second-gen Vapor, which was announced around six months ago, has quite a few nice things going for it at a reasonable starting price of $249.99. For a limited time, the Misfit Vapor 2 is even cheaper when purchased from the official website of its Fossil Group-owned manufacturer. In fact, the stylish Wear OS-powered Apple Watch rival is cheaper than ever before... as long as you remember to apply the unnecessarily convoluted "MISFIT&B8TA" promo code in your cart. This will instantly take 50 bucks off your order, which means both 41 and 46mm models can be yours in exchange for $199.99 a pop with "sport" straps in various colors, while an upgrade to a stainless steel bracelet will add $20 to that marked-down price. 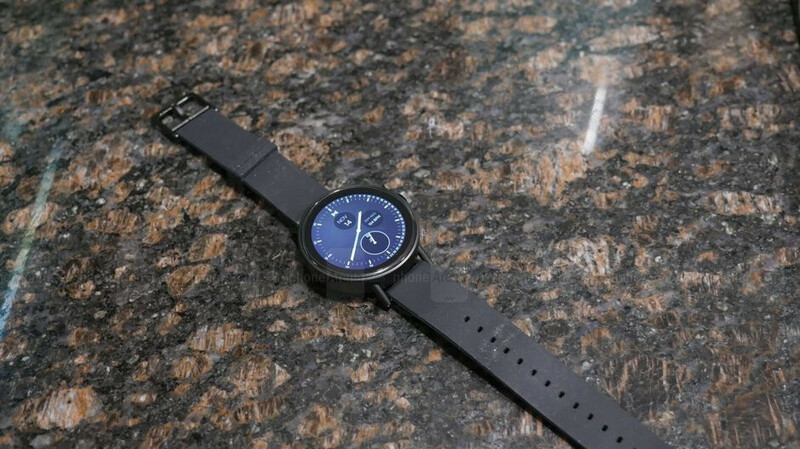 At $200 and up, the Misfit Vapor 2 goes up against the likes of the Samsung Galaxy Watch Active rather than the "regular" Galaxy Watch, rocking an undeniably premium design with a sharp 1.2 or 1.4-inch AMOLED display in tow, as well as all the bells and whistles of significantly costlier wearable devices. We're talking built-in heart rate monitoring functionality, standalone GPS, and NFC support for wrist payments, not to mention a swim-proof construction and "all day" battery life. Naturally, you can't make and receive voice calls directly from and on this smartwatch, and the Misfit Vapor 2 is also unlikely to save your life. But otherwise, you're looking at an incredibly feature-packed product available for an irresistibly low price... until April 11 only. To each his own. I'm fine with the battery life because I don't sleep with my watch. I just put it on the charger when I go to bed along with my phone. My HW2 usually has about 40% battery at the end of the day. I take it off the charger at 5:30 AM, use it moderately, do an hour workout, and put it on at 10:30 PM. If I'm traveling overnight, it works also. Twice I've had to pop it on the charger for 15 minutes, which got back a significant amount of battery (~50% or so? ).